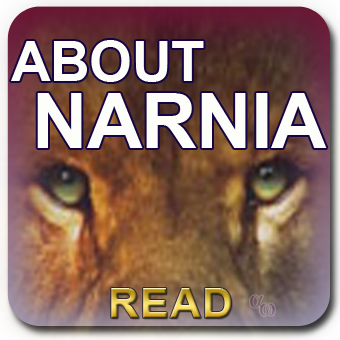 The Chronicles of Narnia take vital elements of the Gospel and communicate them in fantastic (literally- “of fantasy”) images. The eternal truths of a Supreme Emperor, an incarnated Son of the Emperor, the problem of evil and sin as a universal condition of all people, the ultimate redeeming sacrifice of the Creator Himself, the empowering of all those who chose to follow the Creator, and the promise of a final solution to evil are key ingredients to the Narnia stories. CS Lewis used the term ‘magic’ in a different way from the way it is generally used. By “magic” he meant something closer to science. To him, magic has an author, rules, an initiation, and practitioners. Magic is what he called the realm of knowledge beyond what science had unravelled. It was therefore, the science of the mysterious. Before the reader imagines that Lewis was restricting knowledge to rationalism it must be understood that to Lewis the unseen spiritual real was something that natural science had little or no way of classifying. To Lewis, this realm was probably more real than the “physical” realm in which we live. In the Magician’s Nephew he describes those first humans in Narnia as feeling like they had awoken from a long dream. This is an insight into how Lewis contrasted this physical real with the spiritual realm where we will spend eternity either with God or exiled from His presence depending on our response to his offer of forgiveness in this life. The world of Narnia is not our world. It is a make-believe world. The Bible also describes fantastic creatures (eg. Ezek. 1-2; Book of Revelation) these include flying dragons, half scorpion-half humans, beasts with multiple faces including that of a man, seraphim, cherabim, and “beasts” that arise from the sea (Dan. 8; Rev. 13). Perhaps this is to be distinguished from “bad” fantasy stories where evil creatures interact in our world and their evil actions are justified as reasonable. CS Lewis does not do this. The climax of The Lion, The Witch, and Wardrobe is the Stone Table scene. This is one of the most profound allegories of Calvary ever written. Many believers have testified how this Narnia scene has enhanced their appreciation of the Cross. The parallels between Aslan and Christ are obvious: Son of the Emperor, Creator, Incarnate One, Redeeming Sacrifice, Empowering Lord. CS Lewis wrote to an 11 year girl, Hilla, answering her question about Alsan by asking her who it was who (i) arrived at the same time as Father Christmas, (ii) said He was the Son of the Great Emperor, (iii) gave Himself up for someone else’s fault to be jeered at and killed by wicked people, and (iv) came to life again. 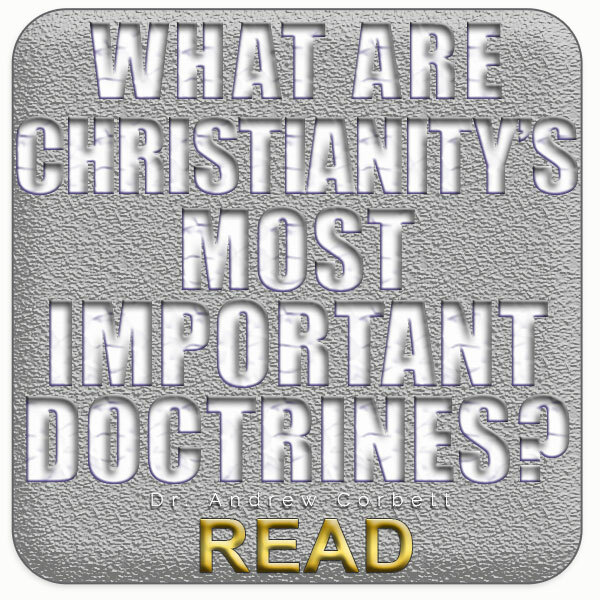 The obvious answer is Jesus Christ of Nazareth. When you see the movie, enjoy the story, admire the film, wonder at the symbolism, and then read the books with your children! Download a FREE Powerpoint presentation which outlines the story of the Lion, the Witch and the Wardrobe with explanatory notes. The sole relative of CS Lewis is Douglas Gresham (his step-son). He was 8 when he first met his father-to-be. He was 18 when CS Lewis died. After he graduated from College and married he moved to Tasmania where he farmed and moonlighted as an announcer on 7BU. He moved to Ireland the mid 1980s where he still lives, but he is a regular visitor back to Australia. His memoirs of his relationship with Jack (CS) Lewis were published by Collins as The Lenten Lands. It is Douglas Gresham who produced the Disney distributed film- The Lion, The Witch and The Wardrobe. 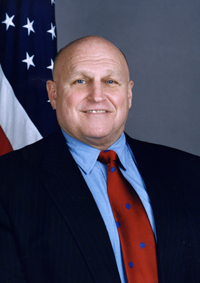 Former Whitehouse Deputy Secretary of State (and Christian), Richard Armitage, has described the “Coalition of the Willing” (including the armed forces of the USA, UK, and Australia) as doing the “Lord’s work” in their military campaign in Iraq. But does God really sanction war? Is there really ever such a thing as a “Just War”? I am presenting this as a Pacifist. I do not come from a military family. I do not agree with war. I have never seen “action”. I have never served in the military. But, I am an amateur war historian, and I have throughout my pastoral career pastored soldiers, airmen, and naval personnel. I have publicly and consistently denounced our invasion in Iraq even before the Americans proposed it. 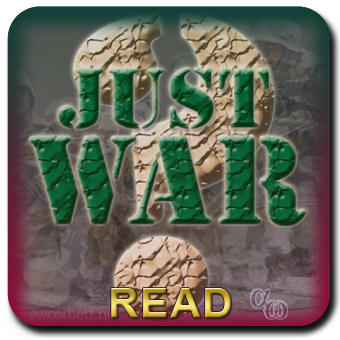 Therefore, I stand open to the accusation of bias when it comes to the issue of “Just War” – but it is a declared bias that the reader should factor into their own opinion about this vital topic. War always comes at a cost. Usually this cost is borne by those directly engaged in the struggle: military personnel. But this is no longer the case. 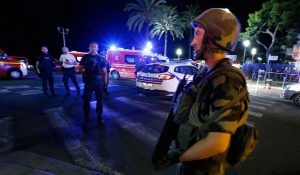 The ratio of military personnel to civilians has been hurtling toward a much higher civilian casualty rate. This is evidenced by the statistics from WW1 through to the most recent Gulf War 2. Of course, casualties are not the only cost of a military conflict. Some of the costs of war, which are hard to put a number to, include: residual landmines (left “live” in the ground even after a war and still killing and maiming today), orphans of those killed in a conflict, congenital birth defects resulting from toxic chemicals used as weapons of clearing agents (for example “agent orange”), and the increasingly diagnosed Post Traumatic Stress Disorder, are all costs of war which don’t usually get reported in the most commonly cited statistics. There many valuable life-lessons that can be learned and applied from military campaigns. In our DVD presentation, THE ANZAC SPIRIT, I show that the best of what it means to be Australian is graphically seen in the battles that Australians have been engaged in. There are of course negative examples that can be noted from military battles, such as excessive cruelty, torture, murder, betrayal, and sniping. But such positive qualities as courageous leadership, teamwork, self-sacrifice and bravery in the face of adversity are admirable traits that often shine in the dark tempest of military turmoil. People have their reasons for going to war. These reasons surely fall under the general headings of ‘power’ or ‘defence’. Under the general category of ‘power’ we might include (i) territorial conquest, (ii) revenge, or (iii) pride. But history reveals that war often serves a more mysterious purpose. Scripture seems to indicate that God used military battles to evict, judge, vindicate, rescue, humble, and teach. It was Thomas Aquinas who argued in the Middle Ages that if wars are to be fought they should only be fought if they meet three criteria that makes them “just”. This is the origin of the ‘just war’ theory. But what might surprise people is that whenever God instructed war in the Old Covenant, it was always restricted to either defence, or an offensive limited to a specific time and place for a stated purpose. That is, Israel was not free to make war whenever it chose. Added to this, God gave some very stringent rules for how military conflict was to be carried out. Deuteronomy 20 contains rules of warfare that include the protection of non-combatants, women, children, animals and even fruit trees. It is a myth that God or the Bible ever authorised “Holy War”. The term no where appears in Scripture. Some Muslims claim that the Bible is same as the Qur’an when it comes to sanctioning violence. One Australian Federal politician who used Parliamentary Privilege to air these claims even said that the Bible authorises the ripping open of pregnant women. This politician went on in her speech to cite a violent story from the Bible where this apparently occurred to support her case. The main problem was, however, in using this violent war-crime story to back-up her position (that the Bible was just as violent as the Qur’an) she actually drew on a story from the Qur’an! No where does the Bible endorse such war crimes – in fact, it condemns them as “evil”! 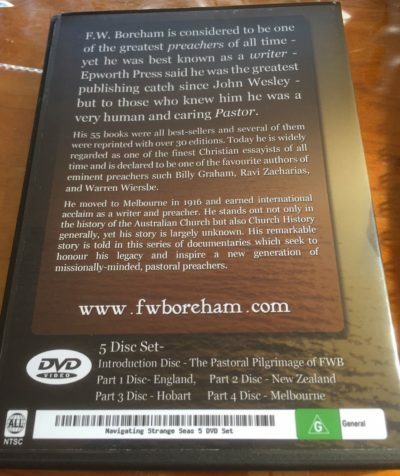 Despite the DaVinci Code book and movie promoting the idea that the Church conducts strategic assassinations in order to silence its enemies and advance its cause as somehow endorsed by the Bible, this is wrong. It does not. Christians are not authorised by God or the Bible to carry out executions in the name of God or the Church. Some appeal to Dietrich Bonhoeffer as an example of a Christian Pacifist who adapted to his circumstances and embraced a “Just War” mentality when it became obvious that Adolf Hitler could not be stopped. He became a co-conspirator in the attempted assassination of Adolf Hitler early in the tyrant’s career. Christ never condemned anyone for their military service. And He had plenty of opportunity to if He wanted to make a point about the morality of military service. Christ’s language about swords was generally metaphorical. “Do not think that I have come to bring peace to the earth. I have not come to bring peace, but a sword.” (Matt. 10:34) “Sword” in this reference speaks of pain caused by division, not a physical sword. The same idea is conveyed in Luke 2:35 where Mary the mother of Jesus is told that a ‘sword’ will pierce her heart. He said to them, “But now let the one who has a moneybag take it, and likewise a knapsack. And let the one who has no sword sell his cloak and buy one.” (Luke 22:36) This statement came from Christ during His Last Supper with His disciples. He was about to leave them. He had up until that point been their provider, their host, and their protector. His absence would highlight their lack of these things – hence His statement to them about needing other things to replace Him. This statement by Christ in Luke 22:36 is therefore metaphorical. The New Testament teaches that the battles of the Old Testament were shadows or types of our real battles that we all face in obeying God. Now these things took place as examples for us, that we might not desire evil as they did…Now these things happened to them as an example, but they were written down for our instruction, on whom the end of the ages has come. The New Testament teaches that we are to live out our commitment to Christ and His cause as if we are in a constant state of war. A distinction needs to be made between murder and killing on behalf of the State. Murder is the unlawful killing of another person. Death in military combat generally carries the authority of the State and is not as such categorised as murder. The Medieval Crusades are often used against Christians to show that we have a shameful and violent past. 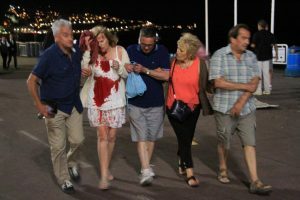 They are cited as examples of the ugly side of Christianity and therefore such a blight upon Christianity that it has no moral right to criticise the violence of other religions. But these “crusades” were contrary to the teaching of Christ and Scripture! The Crusaders had to violate Scripture to conduct their crusades. The argument that most wars in human history have been caused by religion is just not true. The twentieth century has been described as the bloodiest century ever. All the major atrocities of the twentieth century were carried out by atheists – Stalin, Hitler, Pol Pot, to name some of them. The cause of Christ and His Church is not advanced militarily. Our greatest weapons are the Gospel, prayer, holy living, courageous leadership, faith, and argument. Not military warfare. In other words, Christianity is advanced by dual persuasion – (i) the persuasion that comes from the witness of a believer, and (ii) the persuasion that can (and must) only come from the Holy Spirit. For those believers engaged in military forces, the Scriptures affirm the dignity of such a vocation and the acceptability of carrying out just war within the rules of engagement in the cause of the State. And for those of us who long for world peace, the answer is rarely, if ever, war- but the kind of inner peace that only Christ can give to the world- one individual at a time. HOW IMPORTANT IS ESCHATOLOGY IN THE SCHEME OF CHRISTIAN DOCTRINES? Theology Proper – The Person, identity, nature, attributes, prerogatives and acts of God. Christology – The Person, identity, attributes, incarnation, ministry, resurrection and glorification of Christ. Anthropology – Creation, fall, nature, affects of sin, and destiny of mankind. Soteriology – salvation of mankind from sin, redemption, adoption, reconciliation, regeneration, sanctification, resurrection, judgment, eternal destiny. There are systems of Eschatology that actually impinge on the four Primary Doctrines. These Eschatological systems distort the identity and nature of God, diminish the glory of Christ and His finished work, and corrupt the Biblical teaching regarding man(kind) and his means of salvation. When an eschatological system does this, it is not only wrong, it is not only harmful, it can literally be deadly! If you wanting to form your own view of Biblical teaching on “End Times” then your starting point should be Partial-Preterism. This is because the more speculative we become with eschatology the greater the potential for damage to the Scriptures’ claim to be the inspired, inerrant Word of God in the minds of those who like ‘sheep without a shepherd’. THE LEAST SPECULATIVE – (Partial) Preterism approaches all of Scripture in the same way, including eschatological passages. It does not assume that a Bible prophecy has not been fulfilled. Instead, it seeks to investigate from history whether it can be shown that a Bible prophecy has already been fulfilled. In fact, “Preterism” means examine the past. It does not endorse the concept of “Double” or “Dual” fulfilment of prophecies. Because it is grounded in historically verifiable data, it does not speculate about the future. Dispensational-Futurism (Pre-Millennialism) on the other hand as made and remade sildly speculative guesses as to how (already fulfilled) Bible prophecies will come to pass in our own day. THE MOST DEMONSTRABLY ACCURATE – (Partial) Preterism links Bible prophecies with verifiable events from history. Where it cannot clearly do so, it does not speculate. In this way it can demonstrate that all of Revelation chapters 1 to 19 has been fulfilled (which coincides with all of Matthew 24). THE MOST HERMENEUTICALLY CONSISTENT – Classical (Partial) Preterism approaches Bible Prophecies passages of Scripture in the same way as any other Scripture passage. This is different to other Eschatological systems which require their own “principles” or “laws” to make their system work. THE MOST BIBLICALLY CONSERVATIVE – Classical Preterism does not try to force contemporary events into the contents of Bible Prophecy. This is one of the reasons why Historicism is not a conservative approach to Scripture because when it was developed during the period of the Reformation, it forced its contemporary events (the Reformation of the Church from the Papal abberations of Scripture and its abuses of power) into the text of Scripture as if these events were the intended fulfilment of these prophecies. Dispensational Premillennialism may sound to many like a viable eschatological alternative that well and truly is similarly dismmissed as a doctrine of ‘Secondary’ importance. But there are two reasons why we should be a little less passive in considering this eschatological system. 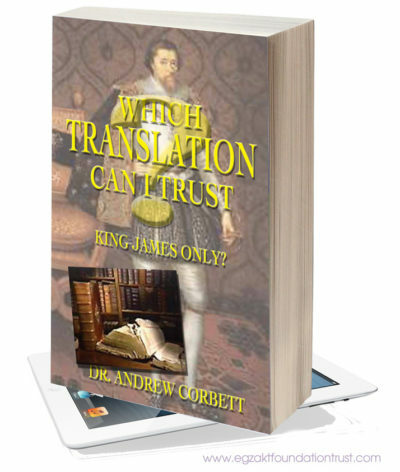 Firstly, it impinges into the doctrine of Christology by promoting the idea that Christ will return to earth, in particular Jerusalem, to re-establish the Throne of David from a rebuilt Temple. To arrive at this interpretation, this system demands that certain Bible prophecy fulfilments be overlooked, others have to be taken in an unintended wooden literal sense, and still others be granted a “second” fulfilment. But if Christ must reinstitute the Levitical Priesthood and re-establish the Temple in Jerusalem, apart from their being no justifiable Biblical grounds for this, the question has to be asked: Why would Christ need to re-establish animal sacrifices? The passage most commonly mentioned in discussions of the difficulty presented by dispensational literalism is Ezekiel’s temple vision (Ezekiel 40-48). The dispensationalists are looking for a reinstitution of bloody animal sacrifices in a millennial temple built in accordance with the description found in this passage.9 Dispensationalists are careful to specify that these sacrifices are merely memorials of Christ’s death and will be the millennial equivalent of the Lord’s Supper. The problem with this is that Ezekiel’s vision refers to these sacrifices as literally making atonement (Ezekiel 45:15,17,20; Hebrew: kaphar, atone). Of course, a dispensationalist can go to the book of Hebrews to prove that animal sacrifices in the Old Testament never literally atoned for sin (Hebrews 10:4). When the Reformed theologian, however, goes to Hebrews to prove that animal sacrifices were done away forever by Christ’s once for all offering (Hebrews 10:10-18), then that is “theological interpretation” and “reading the New Testament back into the Old Testament,” two practices which dispensationalists routinely criticize. Grover Gunn, citing- J. Dwight Pentecost, Things to Come, A Study in Biblical Eschatology (Grand Rapids: Zondervan Publishing House, 1958), page 519. Secondly, this eschatological scheme has given rise to “Christian Zionism” which has unswervingly given unguarded support to the State of Israel. Even when the Israeli Government has violated United Nations sanctions, illegally invaded surrounding territories, illegitimately confiscated property, wrongly forced families off their land, and destroyed the homes of Palestinians and the Lebanese, these Christian Zionists have still given their complete endorsement. Here is an unwitting result of an eschatological system: innocent people have been needlessly killed as its collateral damage! Christian Zionists (Dispensational Futurists – Pre-Millennialists) regard the Bible as prophesying that Israel should be re-established as the world-power in these “last days”. 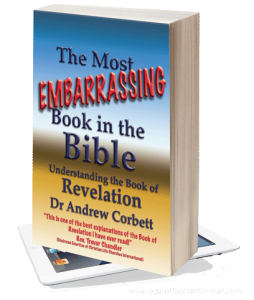 https://player.vimeo.com/video/8546487 Understand The Book of Revelation from Dr Andrew Corbett on Vimeo. 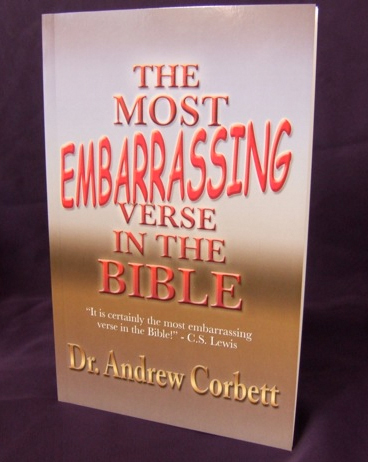 I have written an explanation of how Partial-Preterism leads to the best interpretation of Bible Prophecy in my eBook, The Most Embarrassing Book In The BIble, and in my paperback book- The Most Embarrassing Verse In The Bible. 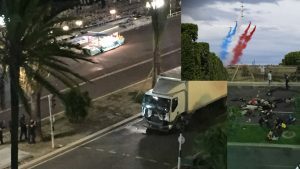 The recent terror attack in France this month by a deranged delivery-truck driver is the seventh terrorist attack on French soil in the past 18 months. 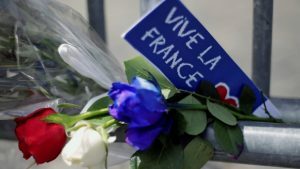 As we in Australia awoke to the devastating news of what had happened to our French cousins, there was community expressions and outpourings of sympathy for those affected by this evil. As the latest updates appeared on CNN in a shoe shop where I was buying Kim a pair of shoes, the female sales assistant said to me, “I don’t understand it. How could anyone do this to other people?” I replied that this indeed was not rational or logical, but rather spiritual. These terrorists generally claim quite openly that they acting on behalf of their religious ideas about God and His will. This kind of religious fundamentalism (where ‘fundamentalism’ is a commitment to a dogmatism is not open to open to challenges from rationality or reason) arises from a spiritual delusion. The apostle Paul referred to this kind spiritual manipulation of people as “bewitching” (Gal. 3:1) and ‘blindness’ (2Cor. 4:4). The solution to this can hardly be bullets or bombs! The solution can only be spiritual! 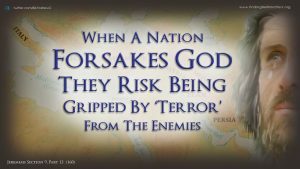 Interestingly, the Prophets warned both Israel and other nations that forsaking or rejecting God and His Word would leave them vulnerable to “terrorism”. 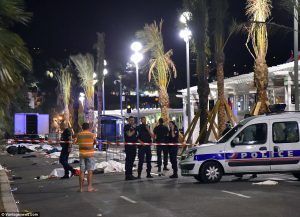 I understand that France, Belgium and other European countries affected by Islamic terrorism will feel the only way they can respond is by a physical show of force, but my prediction is that as long as they are spiritually weak and vulnerable they will ever be susceptible to this insidious evil perpetrated by spiritually deranged madmen who believe a lie. One of the greatest spiritual weapons is truth. It is truth not faith which is antidote to doubt and unbelief. It is truth not force which is the antidote to delusion. The truth is that what motivates these Fundamentalist Terrorists are beliefs which are not true. As long as Western leaders deny this they are in affect perpetuating the spiritual cause of radicalisation. As long as non-Muslims remain ignorant about who the founder of Islam was and how he established this new religion, they remain susceptible to the false ideas promoted about it. 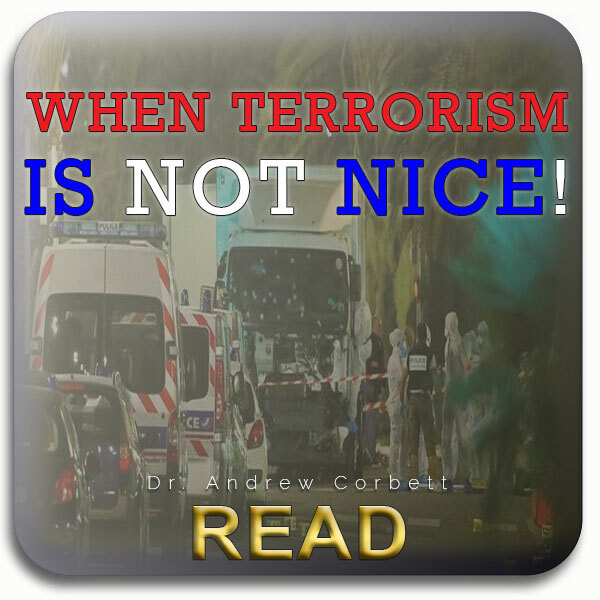 The answer to this rapidly spreading terrorism is primarily spiritual not physical. One of our other greatest spiritual weapons, which is why Christianity has been able to peaceably gain a foothold in the most spiritually destitute places on earth is prayer. 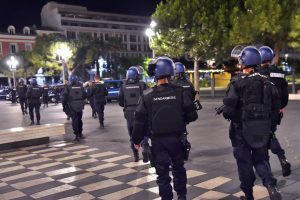 As the Apostle wrote to the Ephesians, “we do not wrestle against flesh and blood” those who are trying to combat terrorism think they are fighting against “flesh and blood” when in reality there are insidious spiritual forces of darkness at play. 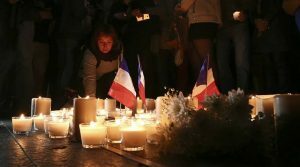 Thus, our response to this atrocious act of sin and cruelty tonight in our evening church service was to pray for France and the people of Nice in particular. 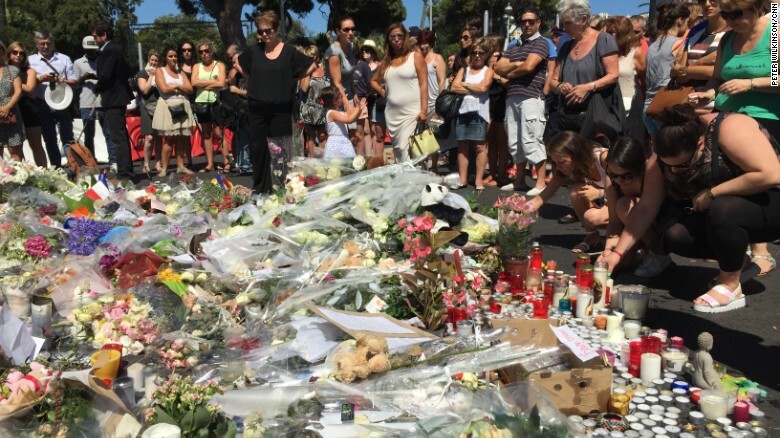 Indeed, as Instagram was awash with the hashtag #prayforNice, we are. God’s Word tells us that from the beginning He established a “week” and set aside one day out of this seven day cycle to be for rest and reflection – the Sabbath. On that day the people were to respect and honor God by resting from regular activity (such as work activities) and participating in public worship. This was done as a cultural observance up until the time of Moses when it then became part of the Mosaic Law, in particular, The Ten Commandments. Since The Ten Commandments are generally accepted as the sum(mary) of the Natural (Moral) Law, what relevance does one of the most important aspects of the Old Covenant have for us under the New Covenant? While the laws of Moses pertaining to sacrifices, ceremonies, civility, and diet have been abolished in the same way that shadows are abolished at high noon (Hebrews 10:1; Colossians 2:14, 16), does this apply to the Law of the Sabbath if it was given as a Moral Law not a Ceremonial Law? I will present a brief overview of the history and purpose of the Sabbath as revealed in Scripture, then challenge the idea that we should keep the Sabbath today. I hope to show why the “spirit of the Sabbath” gives life, but the letter of the law of the Sabbath brings death and condemnation. The Sabbath was also meant to be a public demonstration of Israel’s devotion to God that served as a vital witness of their trust in Yahweh. As such, many of the prophets saw Israel’s spiritual decline and diminished prosperity as directly relative to how they were honouring the Sabbath. For example, Ezekiel accused Israel of abusing the Sabbath by doing their own pleasures and thereby bringing a curse on themselves (Ezk. 20:12, 13, 16, 20, 24; 22:8, 26; 23:38). Knowing that the Sabbath was integrated into the Moral Laws of the Mosaic Covenant and just how seriously the prophets regarded it has led many New Covenant believers to wonder whether they should be similarly observing the Sabbath today. Therefore, God had the interests of His people in mind when establishing the Sabbath. It was to be a time of rest, for them, their families, their livestock, and their land. It seems that mankind is not created to work ceaselessly. The Sabbath was a time for corporate (community) worship. Today some might argue that you don’t have to go to church to worship God, but no Israelite could argue that way in the Old Testament. In fact, on the Sabbath, the daily offerings and sacrifices made were doubled, and penalties for breaking it were severe. In other words, the Sabbath was a special time for everybody to get together and worship God. Here is another principle of the Sabbath: come together and worship God. ¶“On the Sabbath day, two male lambs a year old without blemish, and two tenths of an ephah of fine flour for a grain offering, mixed with oil, and its drink offering: this is the burnt offering of every Sabbath, besides the regular burnt offering and its drink offering. By corporately observing the Sabbath, the Israelites were declaring their trust in God for all surrounding nations, and peoples to witness. It became a sign between God and His people. It marked out God’s people as being distinct from others. The Sabbath therefore formed the principle of: a sign between God and His people. Interestingly, when Israel abandoned Sabbath observance it was a symptom of their heart corruption away from God. They were to be a witness to the nations of God and His love. Yet when they broke and abandoned the covenant they were exiled. They had failed to keep their God given commission to witness to the nations. When they were exiled (between 600-500 BC), there appears to have been a spiritual vacuum in the world. If the people God had trusted to bear His revelation had disappointed Him, there appears to have been no other people used to replace Israel at this point. So, during this period of history, five major religions commenced: Zoroasterianism, Buddhism, Jainism, Taoism, and Confucianism. Perhaps if Israel had kept its terms of the covenant, these religions may never had started (?). Israel’s decline away from the covenant was symptomatic of their treatment of the Sabbath. It was given to Israel within the Ten Commandments as the Fourth Command. Even if God had not given any explanations of His commands (which doesn’t appear to be the way He operates), the simple fact that God commanded it is enough. In the same way perhaps as the sacramental Tree of the Knowledge of Good and Evil served as a test of obedience to Adam and Eve, the Sabbath at least serves as a test of obedience. There is a Sabbath principle of: God has commanded it as a part of the Old Covenant. Under the Older Covenant Sabbath, anyone found breaking it, was actually therefore violating a “type” of the salvation that was to be revealed in Jesus. By working on the Sabbath they were in essence saying to God “Your salvation is not enough, I must add my works to it to make it sufficient”. In this light it becomes easier to see why God took such a dramatically stern attitude to those who broke the Sabbath. 1. Honor God as the Creator. 2. Come together and worship God. 3. A sign between God and His people. 4. God has commanded it as a part of the Old Covenant. 5. It was a shadow of a rest to come. The Older Covenant and the Ten Commandments were not synonymous. The Ten Commandments were articulated at the forming of the Older Covenant, as the rules and terms of agreement between the covenant parties (God and Israel). Yet, along with these Moral Laws, other groups of Laws were included: Food Laws, Civil Laws, and Ceremonial Laws. We find the purpose of these Laws explained in the New Covenant. Paul makes the case in the Book of Romans, that the Law served the purpose of revealing sin, not saving people from their sin. Of interest to this topic, is the fact that of all the Ten Commandments, nine are explicitly restated within the New Covenant. 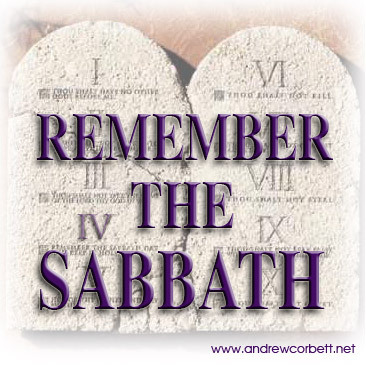 The only command of the Ten not prescribed for the New Covenant is the fourth- the observance of the Sabbath. The reason for has been discussed under the section a shadow of the rest to come. Therefore, the Moral Law does have a place within the New Covenant. It is a fallacy to ignore the Sabbath today on the assumption that it was only a part of the Mosaic Law (the Law given through Moses) which was done away with at the Cross. “For by Him all things were created that are in heaven and that on earth, visible and invisible, whether thrones or dominions or principalities or powers. All things were created through Him and for Him. Would this principle of honoring God one day out of seven be relevant for today? Of worthy consideration at this point would be a casual appreciation of recent history. As evolution has gained more ground as the accepted theory of origins, so the regard for honoring God and respecting this Sabbath principle has declined proportionally. Just as God, the Creator of the universe, rested on the seventh day, God has established this principle for His creation: that they too rest on the Sabbath to remember Him as Creator. If we were looking for reasons to justify neglect of the Sabbath within the New Covenant, we fail at even this point. If anything, the New Covenant saints should delight themselves even more in seeking to worship freely on a day set aside exclusively for such. Under the Old Covenant it was compulsory and Law, but under the New it is an expression of worship to God and an opportunity to encourage other believers. In those days I saw men in Judah treading winepresses on the Sabbath and bringing in grain and loading it on donkeys, together with wine, grapes, figs and all other kinds of loads. And they were bringing all this into Jerusalem on the Sabbath. Therefore I warned them against selling food on that day. Men from Tyre who lived in Jerusalem were bringing in fish and all kinds of merchandise and selling them in Jerusalem on the Sabbath to the people of Judah. I rebuked the nobles of Judah and said to them, “What is this wicked thing you are doing– desecrating the Sabbath day? Didn’t your forefathers do the same things, so that our God brought all this calamity upon us and upon this city? Now you are stirring up more wrath against Israel by desecrating the Sabbath.” When evening shadows fell on the gates of Jerusalem before the Sabbath, I ordered the doors to be shut and not opened until the Sabbath was over. I stationed some of my own men at the gates so that no load could be brought in on the Sabbath day. Once or twice the merchants and sellers of all kinds of goods spent the night outside Jerusalem. But I warned them and said, “Why do you spend the night by the wall? If you do this again, I will lay hands on you.” From that time on they no longer came on the Sabbath. Then I commanded the Levites to purify themselves and go and guard the gates in order to keep the Sabbath day holy. Remember me for this also, O my God, and show mercy to me according to your great love. He refused to have the people buy or sell on the Sabbath. As the worldly system tries to overthrow the Church of the Living and Risen Lord Jesus, it seeks to make the distinction between themselves and the pure people of God less and less. With regard to Sabbath, this worldly principle is ever so clear. The Bible student would do well to consider the principles of this form of attack when considering the “mark of the beast” (the worldly system) which will ultimately try to force saints into a situation where they have lost their distinctiveness and can not by or sell unless they dance to the world’s tune, so to speak. For the Church today there is a desperate need for distinctiveness from the world and other religions. If every believer today was to take seriously this principle of the Sabbath, there would be dramatic impact on our society, which would accelerate the success of world evangelisation. The Sabbath day, as circumcision, was given as a sign between the Lord and the nation of Israel. It was given for a perpetual Covenant to the nation (Exodus 31:12-18). It was included in the Ten Commandments written on tables of stone (Exodus 20:1-21; Deuteronomy 5:1-21). These were written with the finger of God. On this basis the principle of the Sabbath being a command of God within the New Covenant is without foundation. Yet, for the believer living by the spirit of the law, not its letter, its offers them an opportunity to show to God their loyalty. The Old Covenant saints looked forward to the promise of God, that they would be saved and receive their inheritance: heaven (Heb. 11:10). That promise of a rest from works, and everlasting contentment in heaven, was not to be made possible without Jesus doing all the work necessary for redemption. Thus the Old Covenant saints were not perfected without us who are of the Newer Covenant (Heb. 11:40). The New Covenant incorporates God’s eternal, and only, plan of salvation. This salvation is received by meeting the Testamental conditions of faith and obedience (Hab. 2:4; Rom. 1:17; Heb. 5:9) which applied and apply in both the Older Covenant and the New. While the faith required under the terms of the Older Covenant was anticipatory, under the New it is commemorative. Yet the obedience under the Older Covenant required adherence to highly transitory rituals and ceremonies (“works”). These works were like a passing shadow which disappears as the sun reveals its maximum light upon an object. The object of these shadows was the work of Christ, or more accurately, Christ Himself. 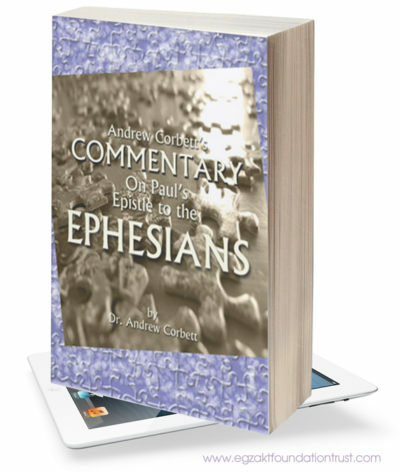 Each of the Older Covenant’s works finds its fulfilment and completion in Jesus. We now live in a fuller revelation of God’s light, and while there still remains many New Covenant shadows which point to our ultimate inheritance (such as Holy Communion, Water Baptism, Marriage, etc. ), the Sabbath stands as one of the greatest shadows of what the New Covenant means: that Jesus Christ is our Sabbath. In Christ we find true rest (Matt. 11:28). This rest that Jesus spoke with so much enviable familiarity is found in knowing God. As one studies ancient religions of the Far East, there appears to be an ache of the human spirit that comes out in the sacred writings of so many of these religions. That ache is their quest for knowing the True God while settling for a religion of man-made guesses and philosophy. Nearly each of these religions originated with the assumption that if they could know the Supreme Being they would find “rest”. Many of these religions call it being “absorbed” into God. Thank God that there is way to know the True God that He Himself has revealed. In this revelation He also declares, while graciously confirming the ache of every human spirit, that true rest can only come from knowing God (Matt. 11:27-28). So the Sabbath stood as a constant reminder to the people under the Older Covenant that there was rest that they were yet to have. Not until the Jesus came did God’s ultimate revelation of Himself appear to mankind. His life, work, and death have provided the rest that every human soul aches for. The New Covenant revelation of the Sabbath is only partly fulfilled here and now. There still remains an ultimate rest to be entered into. This rest from our bodies of sin will be realised when we receive our resurrected bodies at the coming of our Lord, and enter into eternal bliss with Him (Rom. 6:4-9; 8:22-25). By celebrating the New Covenant Sabbath, we sacramentally celebrate our awaiting rest. The Sabbath then stands as a shadow in the Older Covenant, and also in the New, though fulfilling the Older Covenantal hopes. SUNDAY AS THE NEW TESTAMENT SABBATH? That was the Day that Christ rose from the dead. Sunday marked the beginning of the New Covenant. The First day of the week represents new beginnings (we are made new in Christ). It follows the day set aside to commemorate the Older Covenant, just the New Covenant follows the Old. The Holy Spirit was conferred on the First Church on a Sunday, thus sealing God’s recognition of this day as the Day to celebrate the New Covenant and remember the principles of the Sabbath. The First Church immediately recognised Sunday as the Lord’s Day, their Sabbath (Acts 20:7; 1Cor. 16:2). Throughout Acts Paul was often recorded going to the local synagogue on the Sabbath for evangelistic reasons. This stands in contrast with his meeting with the local church on the first day of the week to worship, preach and break bread. 1. Celebrating the “Lord’s day” on Sunday not Saturday for the reasons given above. 2. Using this day as a day of rest (from usual activities) and worshipful reflection. 3. Gathering together with the Body of Christ with whom we are in community for the purpose of congregational worship (which builds our faith in and devotion to Christ), the reception of the explained Word of God (which captivates our hearts and renews our minds) and provides a witness to the world of the saving grace of Christ. 4. The appropriate setting for the proclamation of the Gospel with the object being the conversion of sinners to Christ. But Stott similarly stresses the importance of honouring Sundays in the spirit of the Sabbath (rest and worshipful reflection). Believers should make honouring Christ in a congregational community a priority for their Sundays. And if possible, they should worship congregationally near the beginning of the day and near its close. The greatest expression of what the Sabbath meant is found in Jesus. He is our Rest. He is our basis of relationship with God. He is our sacrifice. He is our Temple, and everything else typified for the believer under the Older Covenant. The first church recognised that His resurrection was the new beginning and the fulfilment of everything the Sabbath stood for, thus they celebrated the Sabbath on Sunday (the first day of the week). By doing this they were showing their love for God while keeping His Law (Ten Commandments). This is when God has appointed for His people today to meet and worship Him. Not in legalism, but in Spirit and in Truth.